"The righteous shall flourish like a palm tree; he shall grow like a cedar in Lebanon" (Psalm 92:12). I have always liked looking at palm trees. Of course, growing up in the midwest I never saw a palm tree, except for potted ones indoors and on television shows, until I went to college in Florida. However, some of my favorite television shows were ones like McHale's Navy and Gilligan's Island (as silly as it was), because both were set on tropical islands with swaying palm trees. 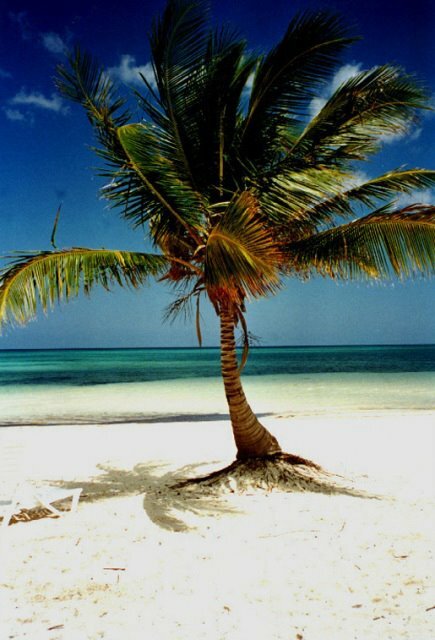 I have always thought of sitting under a palm tree on an island beach romantically idyllic. To many people, the palm tree, because it is always green and luxuriant, represents that which grows lush and full. However, the cedar tree is something with which I have always been familiar because it grows abundantly in the area where I was raised. It evokes a slightly different picture, but there are similarities. Palm wood is not good for much of anything, but cedar wood is prized because it is strong, durable, and fragrant. Also, cedars can grow where other trees will not, so it represents tenacity and endurance. Thus, the "cedars of Lebanon" are used to symbolize strength and stability (Psalm 80:10, 104:16). Yet, it also exhibits a certain luxuriousness, because, as the old song says, it stays green "Not only when the summer's here, But in the coldest time of year." The Psalmist is saying that the righteous flourishes luxuriously like the palm tree and at the same time grows strong like the cedar tree. In fact, he goes on to tell us, "Those who are planted in the house of the LORD shall flourish in the courts of our God. They shall still bear fruit in old age; they shall be fresh and flourishing, to declare that the LORD is upright; He is my rock, and there is no unrighteousness in Him" (Psalm 92:13-15). When trees grow old, they no longer produce good fruit (have you ever tried to eat the apples from an old and gnarled apple tree?). Yet, the Psalmist says that those who are planted in the house of the Lord will still bear fruit in old age because He is their rock. The righteous can be both like the palm and the cedar trees.